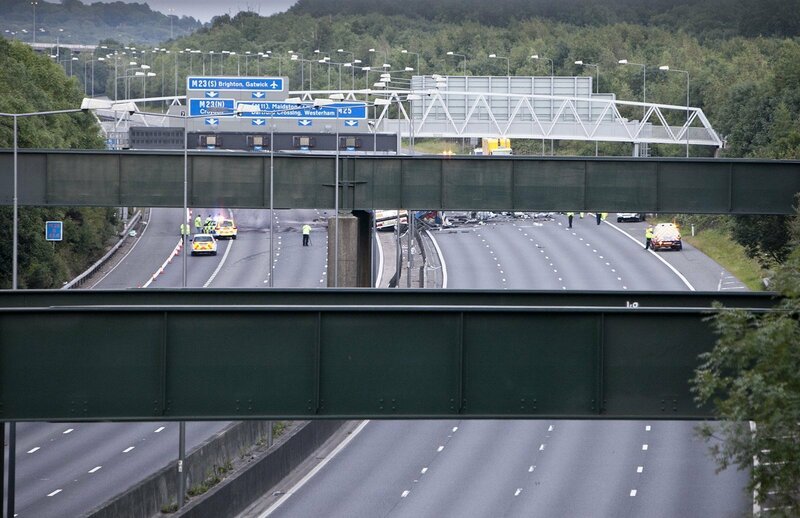 I live very near the M25, close to a bridge carrying a main road over it. Just over a year apart, in July 2010 and August 2011, I captured news photos of two spectacular crashes right next to it. Although nobody died in either of them, they were both pretty damned messy. 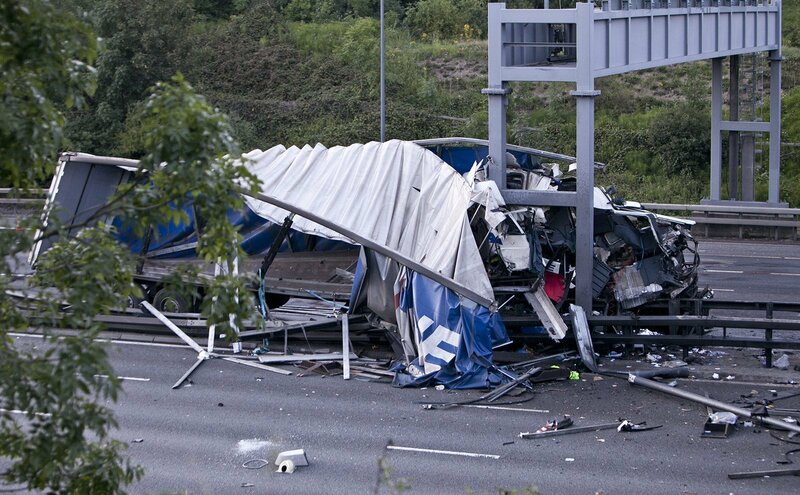 I got to find out just how messy the lorry crash was when an email popped into my inbox almost two months to the day after it happened. 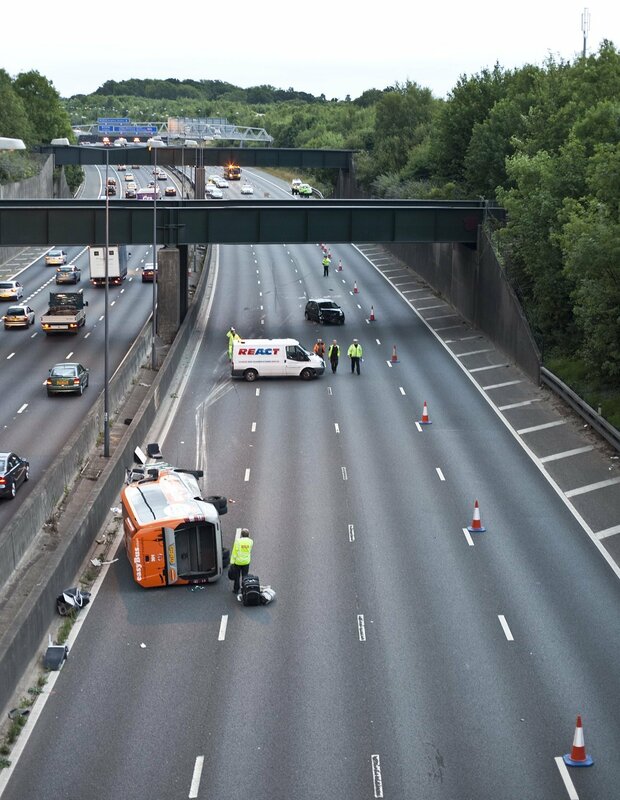 I’ve seen 2 pictures from an accidnt which took place on M25, 5 of august. You can belive me or not but I am the driver from this lorry! How many photos have you got, only these two, or maybe more, if so could you show me other pictures? I remember almost everything from that crash. The police is still investigating what was the cause. I’m using a wheelchair, I should be able to walk again after 1- 1,5 month. Mateusz in Poland – the driver. Alive! We exchanged a few more messages, and he described the horror of a sudden technical disaster. I couldn’t do anything, truck immidiately went right, steering wheel got blocked, 2-3 second and hit this construction. 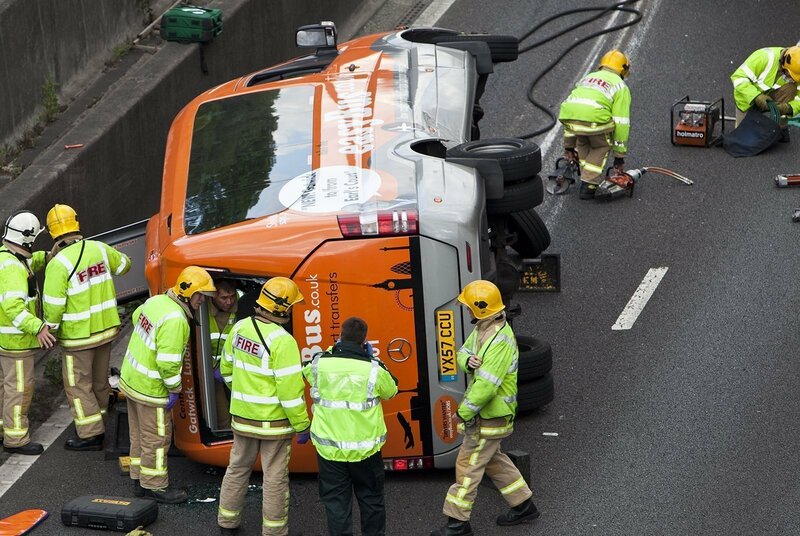 I haven’t got my seatbelst on, so I got ejected from the cab, that saved my life! And of course the fact that i survived the impact of the fall. And then today, another message. One that moved me to write this short piece about the weaving together of images and story, near and far, tragedy and hope. More inspiring story might be a fact that after the accident I have met a women, love of my life. She’s a daughter of my physio, lady who has helped me to get back on feet again. Good luck Mateusz. You strike me as someone who is blessed with more than your share of it.